The ski area Sudelfeld is Germany’s largest coherent ski area. The impressive mountain landscape and the wide and broad hillsides make for an interesting ski area and an exciting winter vacation. The ski area offers nearly endless slopes for all levels of difficulty and the pistes are well-groomed. The ski area Sudelfeld is especially suitable for families and beginners, but professionals will also get their money’s worth on the demanding slopes at the Waldkopf (FIS snowboarding world cup slope) to the Rosengasse. A shuttle takes the guests from the railway station directly to the ski area. There are also numerous free parking-lots available. 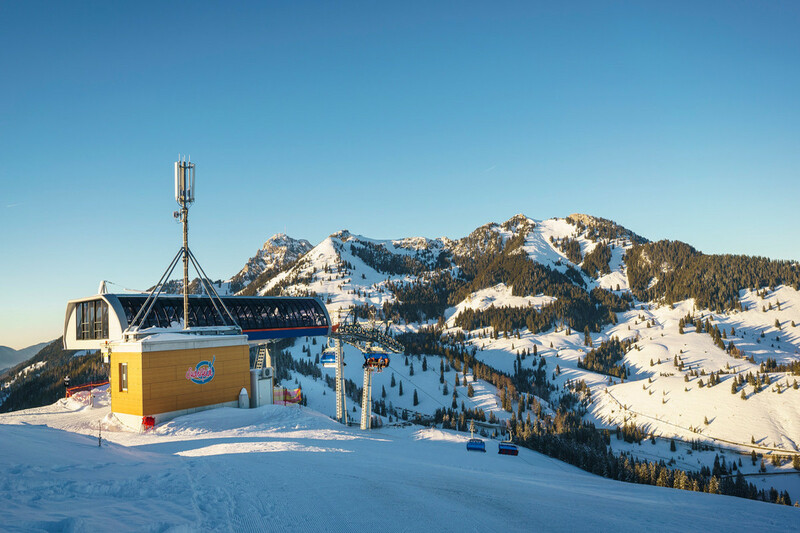 Modern snowmaking equipment, professional skiing schools and many offers for children and child-care complete the programme in the ski area. Get snow reports and powder alarms from Sudelfeld straight to your inbox!